This is a commission slot. You can hire Baprima-07 to create a personalized artwork of this sort here. The artist will most likely respond to a request within the same day. This commission slot was rated positively by 96 clients thus far. commision 28$ "per page "
Absolutely STUNNING!!!!! This artist has has amazing artwork, and the FASTEST turnaround speed for this kind of piece I have seen ANYWHERE!!!!! 100% A+++ Recommendation!!!! Incredibly fast and extremely high quality. I can't reccommend them enough. Just save a slot for me lol! Very quick and good results, A+! Second time ordering from this artist. Amazing and quick work! My friend was interested in them so I got another and they said it's perfect! Beautiful artwork that was done in a quick, timely manner! Would reccomend getting art from. They were super fast and did an outstanding job on the art! Very nice and amazing at drawing! I’ll definiely come back again :). Really quick, professional, and most importantly they have AMAZING art! Great artist to work with. Super fast and quite friendly. My favorite artist by faaaar! Not my first commission with this artist, and surely not my last one. Very fast, creative clean and pacient! Working with this artist has been a delight so far! The best and fastest commission I've ever had! 100% recommend this artist! Fast feedback, fast work, great quality! Would recommend to my friends. Great job, very fast and friendly! Will definitely come back for more in the future. The artist was exceedingly friendly and receptive, very helpful when it came to the groundwork for the art. The artist worked quickly, and of course the art itself was beyond beautiful! I fully recommend Baprima-07, as I cannot wait to get more art done if slots are open! Wonderful work. This one gets my second book on track. Into book 2 and still great art work. 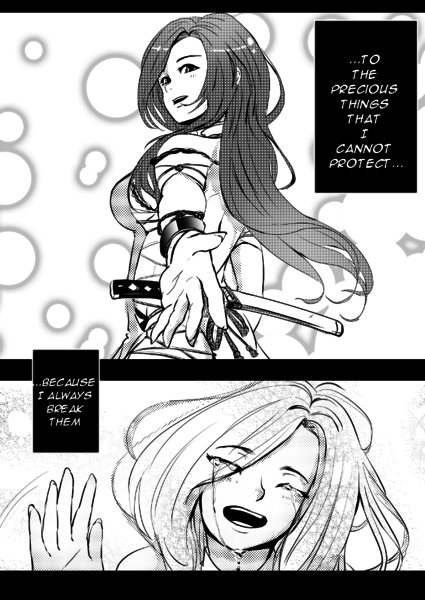 I will make a manga or comics for your story!